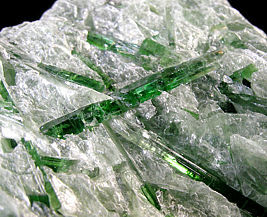 View all Minerals for Sale! A wonderful combination of apple-green translucent actinolite blades in pearly silver talc matrix. A specimen label is included. Visit my Wenatchee Ridge page at Washington Minerals for more information about this mineral occurence. SOLD - Thank you for your support! A wonderful cabinet-size combination of apple-green translucent actinolite blades in pearly silver talc matrix. A specimen label is included. Visit my Wenatchee Ridge page at Washington Minerals for more information about this mineral occurence. 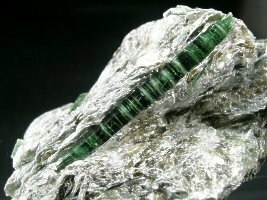 For sale is a very aesthetic one-of-a-kind striped translucent green actinolite crystal in silvery talc matrix. The rhythmic stripes are likely caused by talc inclusions, but this is not confirmed. A specimen label is included. Visit my Wenatchee Ridge page at Washington Minerals for more information about this mineral occurence. For is a wonderful thumbnail of translucent vivid green actinolite blades in silvery talc matrix from Wenatchee Ridge, Washington. 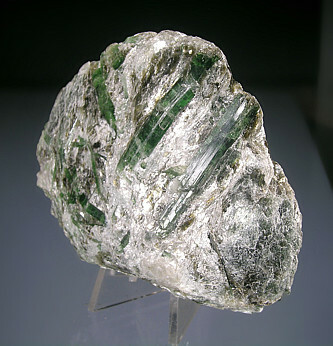 The actinolite is of the highest quality and is mounted in a pedestal-style perky box with a mineral label. Visit my Wenatchee Ridge page at Washington Minerals for more information about this mineral occurence. 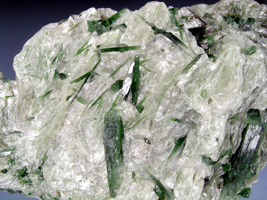 For sale is a nice specimen of actinolite in talc from Wenatchee Ridge, Washington. 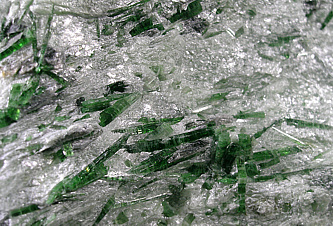 The lustrous green blades of actinolite contrast nicely against the silvery-white talc matrix. A specimen lable is included. Visit my Wenatchee Ridge page at Washington Minerals for more information about this mineral occurence. 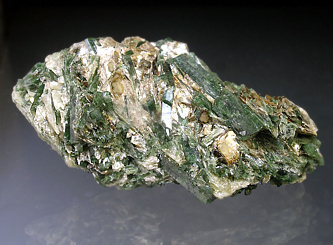 For sale is a very beautiful specimen of actinolite in talc from Wenatchee Ridge, Washington. 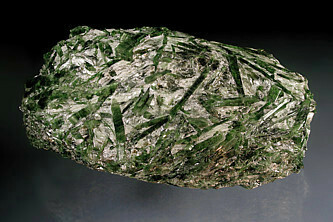 The actinolite is of the highest quality with vibrant, very lustrous green blades in silvery-white pearly talc matrix. A specimen lable is included. Visit my Wenatchee Ridge page at Washington Minerals for more information about this mineral occurence. For sale is a very beautiful large specimen of actinolite in talc from Wenatchee Ridge, Washington. 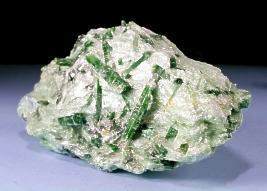 The actinolite is of the highest quality with vibrant, very lustrous bright green blades in silvery-white pearly talc matrix. A specimen lable is included. Visit my Wenatchee Ridge page at Washington Minerals for more information about this mineral occurence. 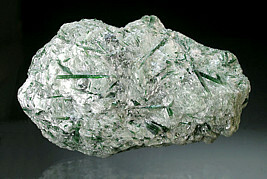 For sale is a very beautiful specimen of actinolite in talc from Wenatchee Ridge, Washington. 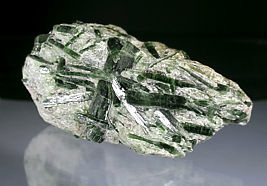 The actinolite is of the highest quality with vibrant, very lustrous gemmy green blades in silvery-white pearly talc matrix. A specimen lable is included. Visit my Wenatchee Ridge page at Washington Minerals for more information about this mineral occurence. For sale is an attractive contrasting specimen of actinolite in talc from Wenatchee Ridge, Washington. 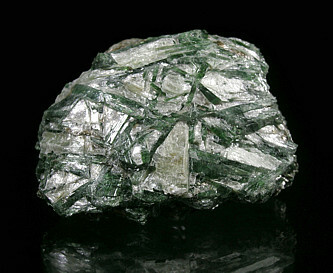 The actinolite is vibrant with lustrous green blades in silvery-white pearly talc matrix. A specimen lable is included. Visit my Wenatchee Ridge page at Washington Minerals for more information about this mineral occurence. 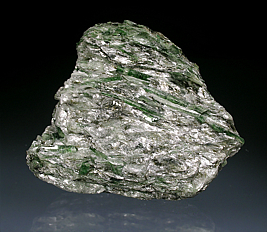 For sale is an attractive specimen of dark green actinolite in silvery talc matrix from Wenatchee Ridge, Washington. 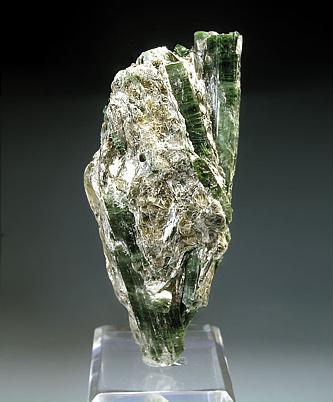 Large actinolite blades up to about 2-1/2-inches long and 1/2-inch thick adorn this specimen. The specimen has been professionally mounted/inset into a polished acrylic base. The specimen can be removed from the base with care. A specimen lable is included. Visit my Wenatchee Ridge page at Washington Minerals for more information about this mineral occurence. For sale is an outstanding cluster of vibrant green actinolite blades in contrasting silvery talc from Wenatchee Ridge, Washington. The color and contrast is excellent for the species. A specimen label is included. Visit my Wenatchee Ridge page at Washington Minerals for more information about this mineral occurence. 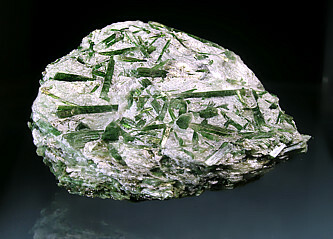 For sale is a specimen of actinolite in talc from Wenatchee Ridge, Washington. 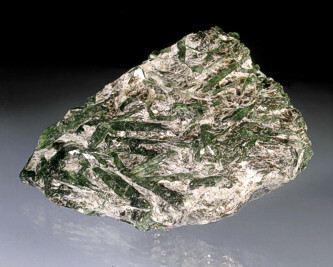 The actinolite consists of green blades in silvery-white pearly talc matrix. A specimen label is included. Visit my Wenatchee Ridge page at Washington Minerals for more information about this mineral occurence. 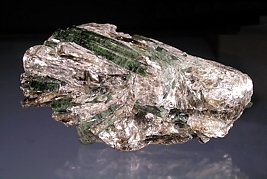 For sale is a cabinet-size specimen of green actinolite blades in silvery talc from the classic Wenatchee Ridge locality in Washington state. This is an excellent specimen, both sizeable and aesthetic with a good balance of actinolite and talc matrix. 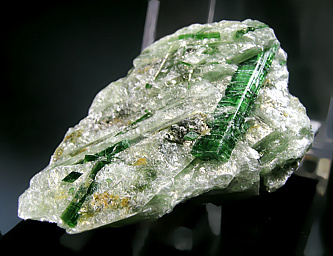 The actinolite blades are up to 2-inches long and 1/2-inches wide! A specimen label is included. Visit my Wenatchee Ridge page at Washington Minerals for more information about this mineral occurence. For sale is an outstanding large cluster of vibrant green actinolite blades in contrasting silvery talc from Wenatchee Ridge, Washington. The color and contrast is excellent. A specimen label is included. Visit my Wenatchee Ridge page at Washington Minerals for more information about this mineral occurence.